This sold out quickly last time–Reserve your spot soon! We had so much fun with our first one, that we thought we’d give you another chance to experience this unique date night. Try something different with your partner and join us for this fun class. The first half of the class will be a gentle and accessible yoga class led by Sarah Wilkinson, which will incorporate partner poses and stretches for a joint experience on the mat. Then wind down during the second half of the class, when you’ll practice giving and receiving Thai Massage techniques with your partner from certified Thai Yoga teacher, Liz Anderson. Join Mel for two monthly offerings — her regular Aroma RESTorative class and a special Express version of the class in early July. Express, which normally follows Dee Pitcock’s Roll & Recovery, is still on in July even though R&R is on hiatus until August. Relax and unwind with restorative poses and hand-selected essential oils. A perfect yoga break in the midst of the holiday season…. 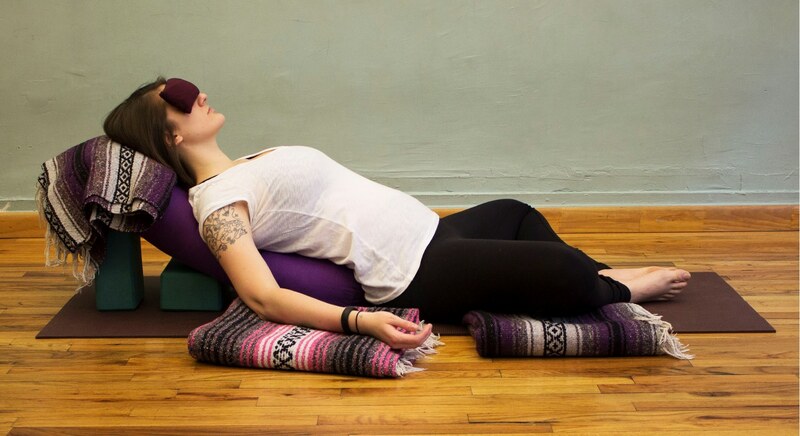 During RESTorative yoga, periods of deliberate stillness create a safe space to explore letting go. Often the greatest challenge of this practice is allowing that stillness. Acknowledging that reality, RESTorative first uses gentle movement to help release excess energy and physical tension. Props such as blankets, bolsters and blocks are then used to create a cradle of support into which the body can let go. While in supported poses, engaging the mind with conscious breath work and guided relaxation encourages deep physical and emotional release. Through discussion and practice, we will explore what RESTorative is, why it’s beneficial and how to incorporate supported postures into your home or teaching practice. Workshop includes a 90-minute RESTorative class. No experience necessary, just a desire to find greater ease in the body/mind. After many years of sporadic practice, Mel recommitted to yoga after moving to Saugerties in 2011 and discovering Shakti Yoga’s sanctuary classes. Two years later, she completed Shakti’s 200 hour teacher training and has been teaching yoga to students of all ages ever since. An educator since 1998, Mel has taught 4th grade, co-authored a strategy book for teachers and served as a tutor and Director of Education for several NY learning centers. Mel’s varied educational experiences have taught her to remain flexible in the face of teaching and learning challenges and receptive to new ways of sharing and receiving information. Her classes focus on understanding the fundamentals of asana (poses) through the use of props (blocks, blankets, straps, chairs, bolsters) and movement exploration, while emphasizing the discovery of personal alignment, balance and relaxation. After many years of chronic injuries and pain related to scoliosis (curvature of the spine), Mel has found great relief through the practice of gentle and restorative poses and is passionate about incorporating both into her classes. By encouraging students to respect their physical limitations while exploring what’s possible, Mel aims to help each individual learn how to serve the unique needs of the body. She is forever grateful to her first yoga teacher, Jill Gnassi, whose expert Iyengar instruction taught her how attending to small details could make a huge difference in life. Click here to scroll to new schedule beginning 9/11/17. What better way to start your week than Restorative Yoga? This class provides a peaceful atmosphere to allow the body, mind, and spirit to rejuvenate itself and prepare for the week ahead. The mind finds space through the breath to be open to new ideas and patterns. When you leave a class you will feel at ease physically and emotionally. First day, Sept. 13th, is free. Share yoga with your child! Through yoga games, story-telling with our poses, and simple partner yoga with your child, incorporate relaxation and breathing techniques into your family’s life. Honor the spirit of unwinding by moving at a sweet and mindful pace, building a slow-burning heat that prepares the body for opening and lengthening. Experience a transformative effect on body and spirit. Leave feeling lighter, more joyous, and centered. This class is dedicated to the sacred practice of Ashtanga Yoga. It is a led Ashtanga class where we will do the Primary Series, or Yoga Chikitsa, at each class. Read more about this style of yoga here. Yin’s meditative quality fosters the development of patience, ease, and calm. In this class, we hold seated and supine poses for about five minutes each. During this time, the teacher will offer alignment instructions and refinement cues, followed by a brief reading or poem, and then we will spend about two minutes in sweet silence during which time each practitioner is encouraged to find his or her own comfort on the mat. Suitable for all levels including very beginner. 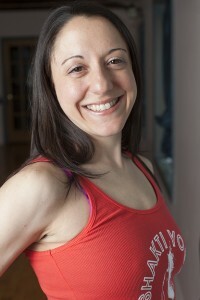 Coming in October to Uptown: Tot & Me with Amy Reed, Tuesdays, 4:15pm; Baby & Me moves to Tuesday, 3:00pm.